“It wasn’t always like this”, they tell me, as we sit round cups of tea, on a windy, rainy day in Luton. The weather outside crashes ominously against the windows of Dallow Primary but inside this particular primary school office, the temperature is just right. “No, it wasn’t like this at all. When we first started our work here, no one sang”. 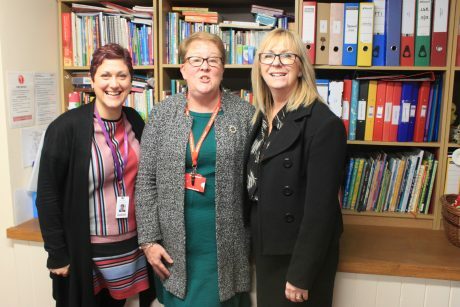 I am sitting with Linda Nouch, Headteacher of Dallow Primary school; Kerry Watson, Head of Luton Music Service and her colleague Julia Fraser, Operations Manager. 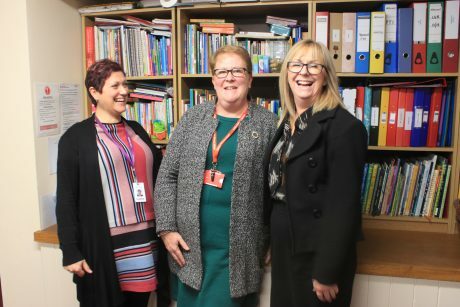 Julia however, I am meeting in her capacity of the all-singing, all-dancing choir director and leader of the singing assembly, a role Kerry takes up too in a number of other schools in the Luton area, sometimes already in the school hall singing The Healthy Habanera by 8.00 am. When I visit Dallow Primary it’s almost December and the surrounding Luton shops are dripping and glistening in tinsel and fairy lights. I first visit the school choir, made up of students from years 3-6 and then take part in the school assembly with the rest of the students and staff, both led by Julia, both very festive with songs about reindeers and mince pies. These are of course the songs of choice for this time of year in this part of the world, except only 2% of students at Dallow Primary are from Christian, or western secular backgrounds. Very few have English as their mother tongue and 33 different languages are spoken here, from Pakistani to Roma, Greek to Albanian. And yet, “Christmas is really big here at Dallow”, Linda gleams. “We don’t have huge amounts of children who celebrate it but they absolutely love it!”. I could tell. The smiles, laughter and all-round cheer I had witnessed ten minutes earlier in assembly felt like one big joyous knees-up, quite a feat following the lunch break on a dreary winter’s afternoon. “When I first came here, there was no singing and no celebration of Christmas,” Linda continues. “I got a lot of: ‘We don’t do that, it’s against our religion, we don’t do P.E, music or dance.’ And I just couldn’t get my head around that. This isn’t a faith school, so we should be doing all those things, they are part of the national curriculum. Today I don’t have anyone who is withdrawn”. 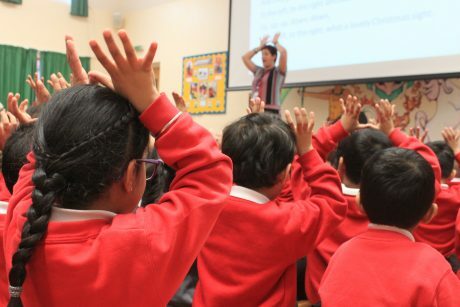 This level of participation and engagement across the school community has been hard to build but Julia has seen the gradual change over the years: “About 4 years ago, I was doing a song about harvest, singing about bacon and ham, and the first time I did it there was a big gasp from a couple of teaching assistants. And so I thought, before I continue, I better check the lyrics are ok with Linda. And she replied with her normal ‘ABSOUTELY!’” All three laugh at Julia’s impression. “There is nothing wrong with that!” Linda exclaims. “They are food types and it’s fine if people choose not to eat them”. 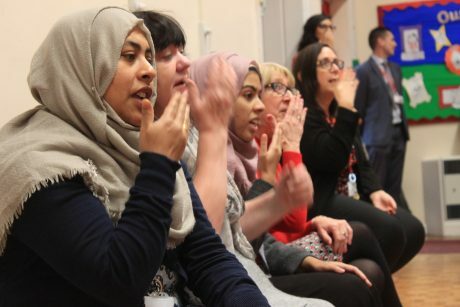 Whatever the theme, and whatever the language or religion of the students, music has become the common thread in Dallow Primary, and singing the glue of both the student and staff community. If one class is doing work on shapes and shadows for example, they tap into Julia’s encyclopaedic knowledge, or scroll through her online library she leaves with the school, and teachers usually manage to find something that fits the lesson. All of the children at Dallow Primary access music directly. Year 6 have drumming lessons, Year 5 have guitar lessons, Year 4 recorders, Year 3 a musical mix with different instruments, and Lower School do extra singing and some percussion. Classes are led by Luton Music Service peripatetic tutors which, Linda tells me, is value for money. 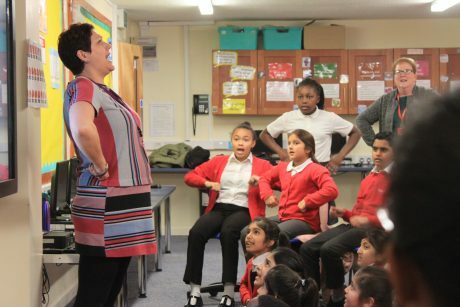 But it is the choir and singing assemblies run by Julia, and supported by other teachers at the school such as Laura and Grant, that have proven to be the most popular, both at Dallow but throughout Luton too. 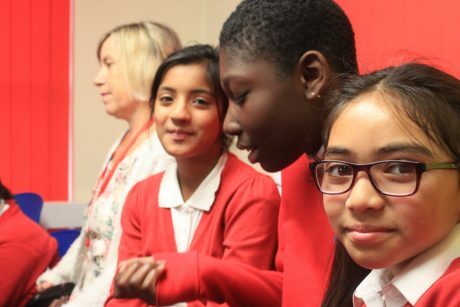 All but two schools in the area participated in the Luton ‘Singing Spectacular’, while the national Young Voices concert has over twenty Luton schools taking part. Most local parents cannot afford the expenses, so schools fund it themselves. “We don’t ask the parents for any contributions”, Linda confirms. Dallow Primary is a Music Mark School Member, nominated by Luton Music Service. Read HERE for more on School Membership.